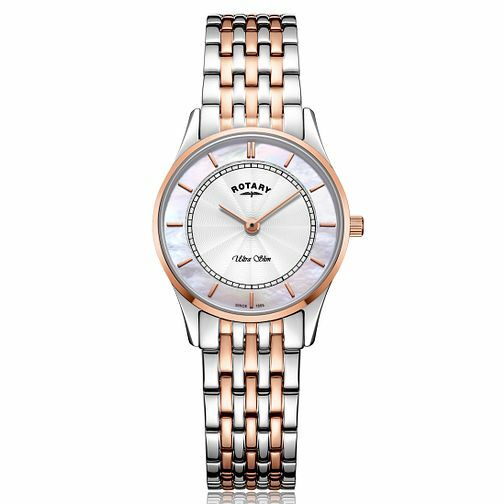 This Ultra Slim ladies' watch from Rotary features a two-tone case with a case profile of just 5.8mm, two-tone 7-Link bracelet and two-step dial. This model showcases a guilloche finish on the inner dial, and mother of pearl on the outer, protected by sapphire crystal. With rose gold linear markers and hands, a chic and smart timepiece.